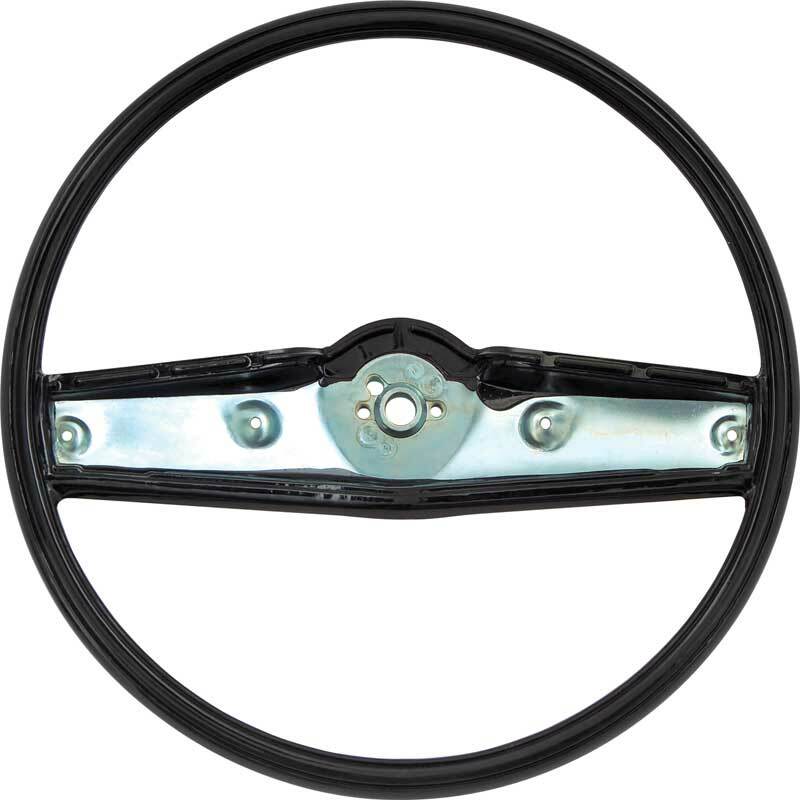 This supurb quality OER® reproduction of the original red steering wheel for 1969-1970 models with standard interior and without the N30 or N34 (wood wheel) option group steering wheel. Due to the nature of the original materials used, steering wheels are susceptible to cracking from years of harsh temperature fluctuations. This high quality reproduction is designed to not only eliminate the eyesore that a cracked or damaged steering wheel can cause, but also help bring your interior back to "showroom new" condition.